AMARAVATI, Andhra Pradesh (India) -- Was Acharya Nagarjuna of 11th century, described by the Buddhist spiritual leader Dalai Lama as the second Buddha, lived for several hundreds of years? 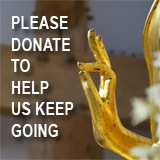 The senior scholar of Namgyal Monastery Jado Rinpoche says ‘Yes’. Acharya Nagarjuna was the founder of the thesis “Fundamental Wisdom of Middle Way”. Rinpoche recalled that Lord Buddha prophesied that a person with the name of ‘Naga’ would spread his message in later years. It was none other than Acharya Nagarjuna, he said. When Nagarjuna was born, astrologers predicted that he would live for either seven months or at the most seven years only. 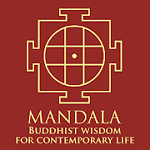 However, when he was taken to Nalanda for studies, where the Buddhist philosopher Saraha said that if he became a monk he would live longer and become a great scholar. It was proved correct, Rinpoche said. 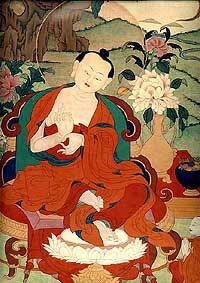 Nagarjuna’s contribution to Buddhism was considered to be extraordinary. When there was drought, he meditated and produced enough food for the entire Nalanda. After Lord Buddha, it was Nagarjuna who propagated Buddhism. Some historians say that there were actually two persons with the name of Nagarjuna and both were Buddhist philosophers. But it was only one Acharya who produced Fundamental Wisdom of Middle Way. Acharya Nagarjuna lived in Nagarjuna Konda and disciples from Sri Lanka attended his teachings. Buddhism flourished in Sri Lanka long before Jesus Christ, he recalled. Acharya Nagarjuna predicted that young Satavahana would become a king. And when he returned from Nalanda he found that Satavahana became the kind of an empire. The one among first major irrigation projects taken up by the independent India near Nagarjuna Konda was named as Nagarjunasagar Project in memory of Acharya Nagarjuna only.